When I went to close the front door this evening, I was drawn outside by one of my favorite sounds — the evening song of a robin. It was a sweet, lulling tune, and the singer was stationed somewhere in our orchard. 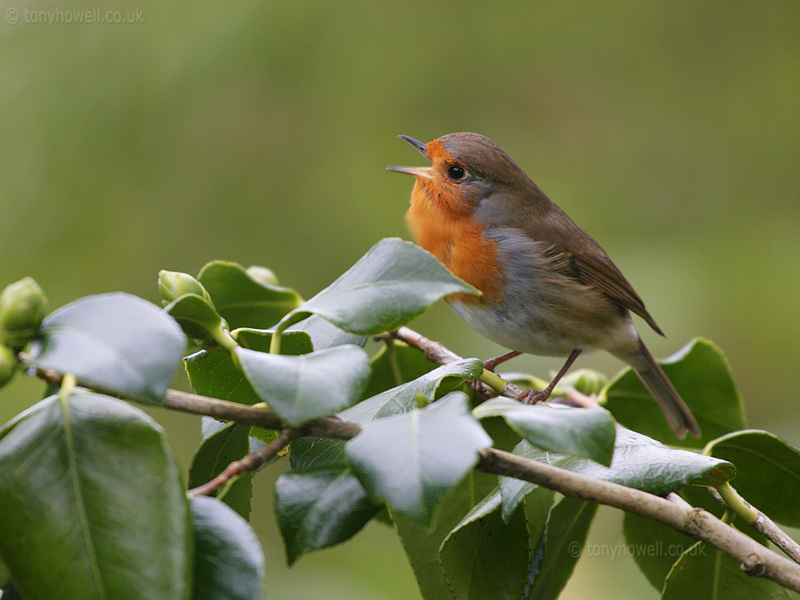 He sang his little tune and then would pause, while another robin answered him from a tree in our neighbor’s pasture. They sang back and forth as the sun dropped behind the hills. It reminded me of the responsive reading we do each Sunday during worship, and of our antiphonal songs like the Te Deum where half the congregation sings one phrase and the other half sings the next. The song of those two birds led me to give thanks for the love and power of our Creator. Apparently Dean has seen the futility of pecking at his own reflection all day and has moved on to doing what God made him to do. While he sings, he glorifies God. He points my thoughts to Him, he wakes my soul up to all the beauty of the spring evening, and causes me to lift up my heart in praise and thankfulness. Lord, help me trust you, and as I do, may You be glorified. Make my life a song that points others to You.